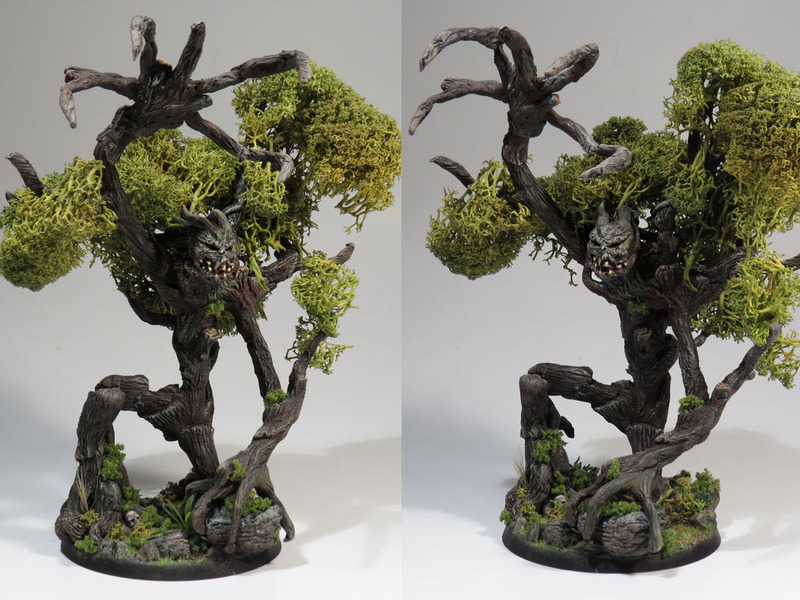 For the evil tree-man (Ent), I made a wire skeleton and used Magic Sculpt to shape the branches, limbs and face. 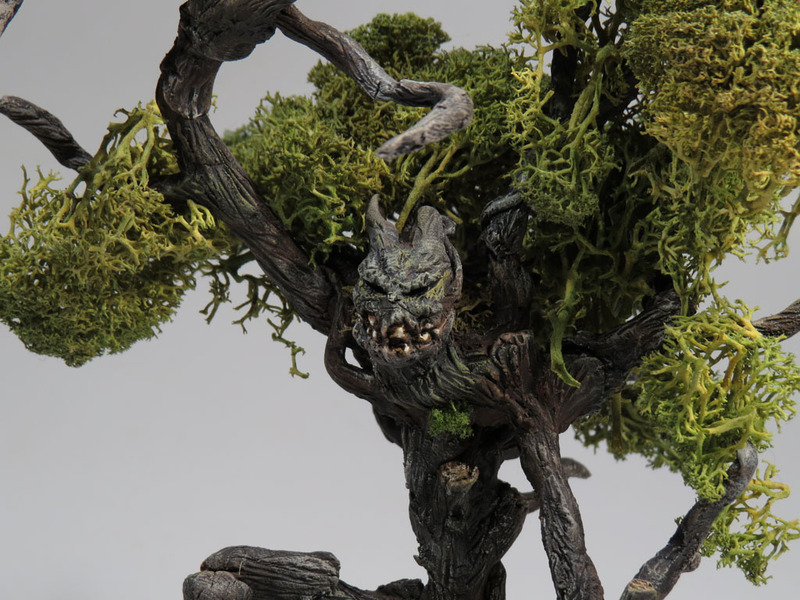 The ‘leaves’ are made of railroad model moss. 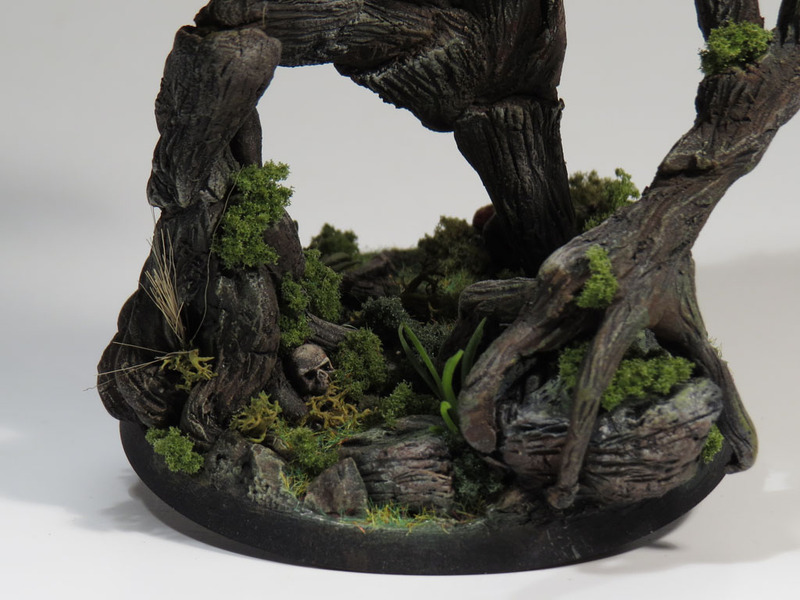 I used varied twigs, pebbles, flocking and static grass for the base. The mushrooms are made with a simple technique: I take a standard flat-head needle, put a tiny ball of Magic Sculpt on the top and shape it to look like a mushroom top. 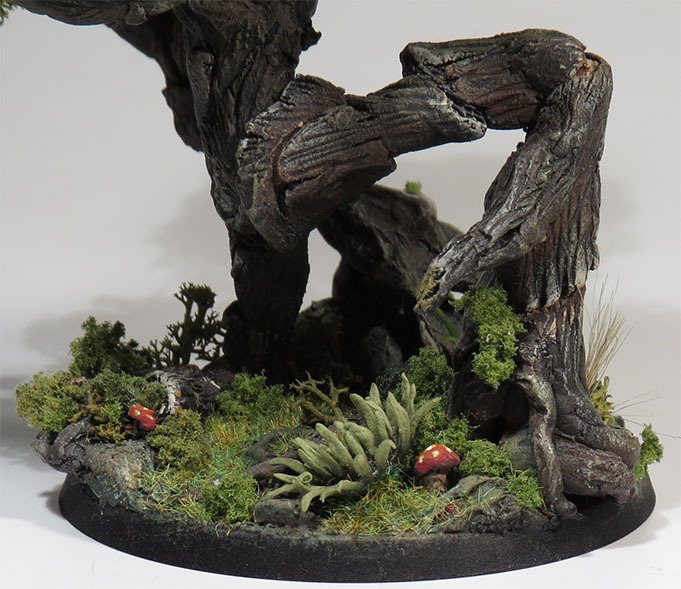 I wait for it to dry, then I cut the needle shorter with cutting pliers and pin my tiny mushroom on the base, using a drop of super glue to keep it in place. 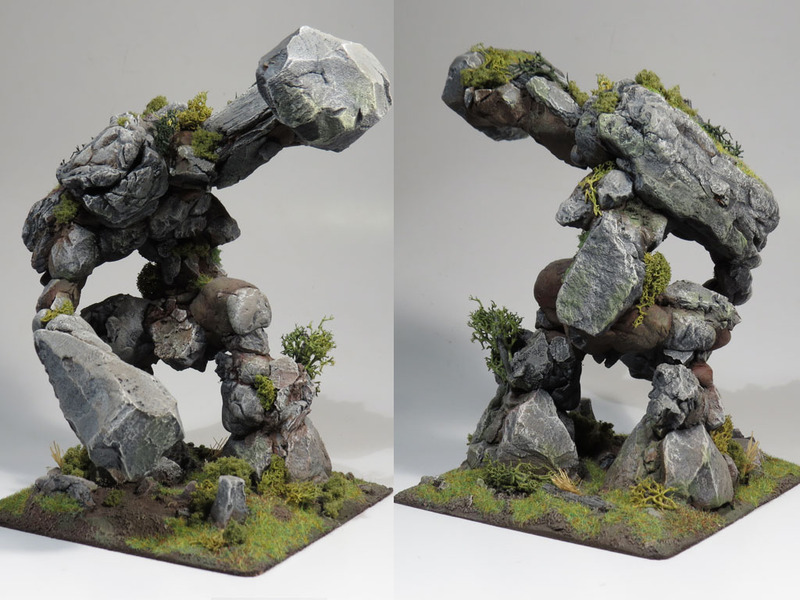 For the earth elemental, as you might have guessed, I made extensive use of real rocks and cork to create the stones that cover its body. However, the huge fists are made of sculpted foam, to keep the weight down and have a more stable sculpture (the lower body is a lot heavier than the upper body). 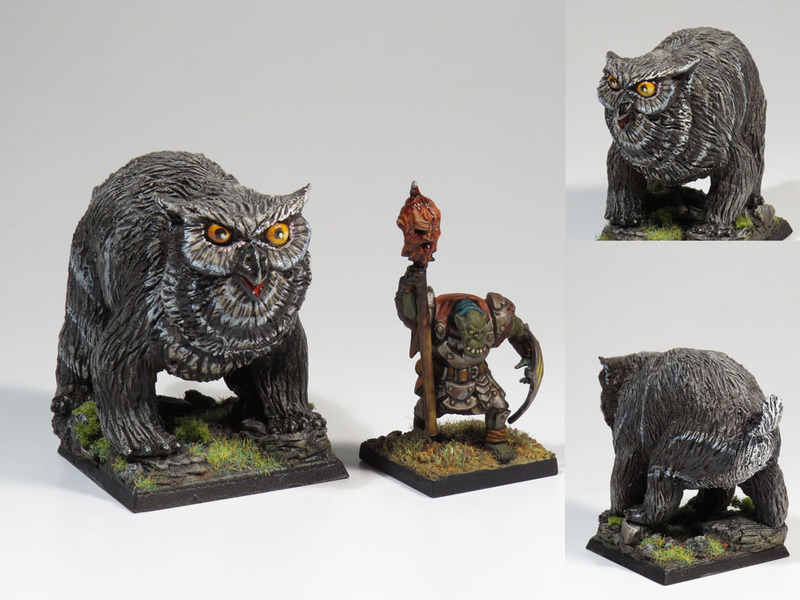 For the owl-bear, the body base is a toy plastic dinosaur, covered in Magic sculpt and detailed (a technique similar to what I am doing with my ongoing Tarrasque sculpt. Stay tuned: more old-but-cool stuff coming soon!